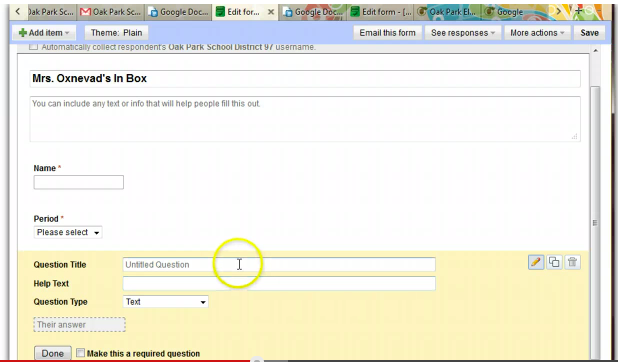 Google Form is an amazing web tool and as I mentioned yesterday in " 5 Good Web Tools to Create Class Forms and Sheets", Google Form is the tool I use the most when creating forms and quizzes. There are several reasons why I opted for it, first it is automatically integrated with Google Drive which means that anything I create on it is asynchronously saved in my drive account so I don't have to worry about uploading it to any file storage system. 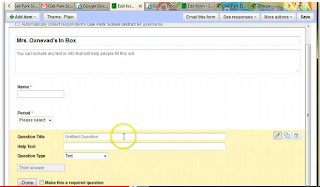 Google Form is also pretty easy to use and has a very simple and user-friendly interface so you will be able to find your way around quickly. And now that Google Form starts supporting images and YouTube videos, I am sure I wont be looking further for any other alternative in the near future.